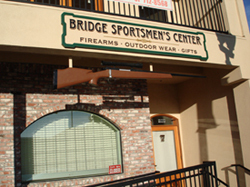 Bridge Sportsmen’s Center is a retail Gun Shop, family owned, operated, and licensed since 1964 at the same location. 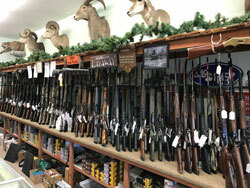 We specialize in carrying top quality firearms and accessories for the hunter, target shooter and outdoorsman. We buy and sell Used Guns and we do Consignments & Gunsmithing services. We hope you will find our web site useful in your search for firearms or hunting supplies. If you live in the San Luis Obispo County area, or come to Paso Robles for business or pleasure, please stop by and visit us at our store. ©2003-2017 Bridge Sportsmen’s Center, Inc. All Rights Reserved.